Craig Y Nos Castle01639 731167work CastleThe Castle overlooks Craig-y-Nos Country Park, in the Brecon Beacons National Park, an area of outstanding natural beauty. Steeped in history, once home of the famous opera singer Adelina Patti, the Castle is a must see for all visitors to the area. The castle is open to the public at all times throughout the year and admission is FREE. The Castle has two car parks with free ample parking for visitors and guests. 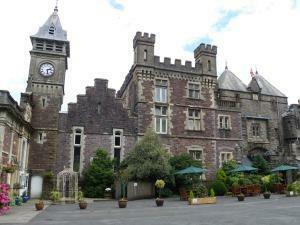 Craig-y-nos Castle is the ideal venue for conferences and meetings. With a choice of function rooms, meeting rooms, bars, accommodation, entertainment and dining facilities, through to outdoor activities in the lovely Brecon Beacons National Park. The Castle overlooks Craig-y-Nos Country Park, in the Brecon Beacons National Park, an area of outstanding natural beauty. Steeped in history, once home of the famous opera singer Adelina Patti, the Castle is a must see for all visitors to the area. Guided tours available, various rates apply. Please call to book or enquire. It is recommended that you telephone in advance if you are planning to visit as tours are not available when there is a wedding, function and events on at the Castle. Please note that at times certain parts of the Castle will be under restoration and therefore inaccessible.